Wine bars are a perfect place to discover new wines and enjoy old favorites. 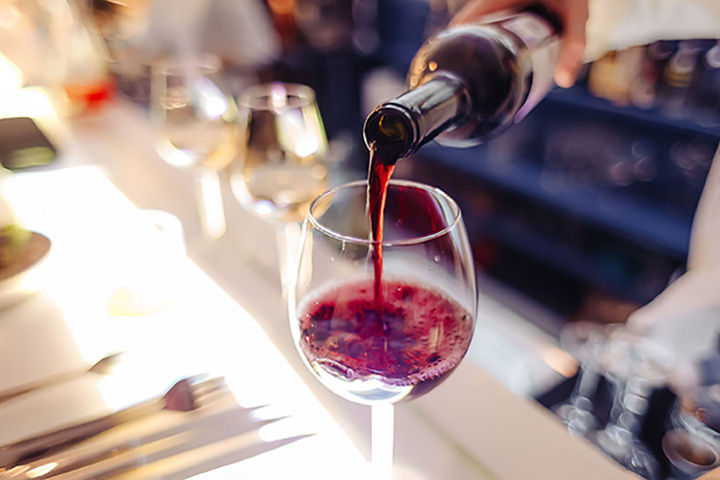 Whether you’re just beginning your wine exploration or have a refined palate, spending some time tasting different wines in a relaxed and comfortable setting is an excellent way to experi-ment with different varietals. Here are the 10 best wine bars in New Mexico. If you’re looking for a cozy spot to have a glass of wine, this fits the bill. It began as a wine tasting room for Cowbelle Wines, but has expanded into a full-on wine bar that serves a selection of 30 different wines by the glass or bottle. They also serve four of their own varietals. A comfy atmosphere inside and charming patio with live music on the weekends. Choose from a small selection of tapas on which to nibble while you sip. At Prairie Star, there’s a 32-handle cruvinet, a wine dispenser that also acts as a wine pre-server, so at any given time there are 32 bottles of wine open and available for drinking. There’s also a sommelier, or wine steward, on staff to answer any questions about the various types of wine. Happy hour discounts for early birds, but the spectacular views at sunset might just make you stay awhile. Awarded “Best of the City” Top 5 for its wine list. Small appetizer menu for those who need a snack. The wine bar here complements the very fine contemporary French cuisine restaurant it is part of. The wine selection is representative of varietals from around the world and is served by the glass or you can purchase a half or full bottle. White, red, aperitifs, port, sherry, madeira and a small number of sweet dessert wines make this a good place for the wine novice to the serious aficionado. The bar menu has an eclectic array of small bites. This is a destination, a place to soothe body, mind and spirit, that just happens to have a top-notch wine bar. There’s a combination of imported and domestic labels, more than 50 different vineyards, that range from sparkling and white wine to robust reds. Have a glass, a half bottle or share a full bottle. The bar menu is an interesting assortment of flatbreads, salads and finger food. If you’re parched and in need of a libation, this small, informal wine bar will quench that thirst. You can buy by the glass or pick a bottle of the wall to buy and try. A good selection of West Coast wines, plus a few European and South American standouts. Build your own cheese and charcuterie board to pair with your wine preference. Personnel are well-trained and knowledgeable about wine. What could be better than a wine bar in a pizza restaurant? Not much for the food and wine connoisseur. The bar area has an urban vibe to it that gives it an upscale feel, but the experience is all down-to-earth. The staff is friendly and knowledgeable. The bar offers wine by-the-glass or bottle. The variety includes a diverse selection of white and red, plus a small selection of sparkling wines. They also have a reserve list … the best of Italy. Check out their monthly wine dinners, a great way to enhance your palate. This is a combination wine tasting room for two small vineyards that grow cabernet, Syrah and Tempranillo grapes, as well as a wine bar that showcases other New Mexico wines. Sit at the actual bar or on stools around converted wine barrel tables. You can buy a three-glass flight of wines that comes in three different pairing options: sweet, semi-sweet and chardonnay. Or get a glass of your favorite which you can purchase at the bar, too. Every week at the Tasting Table here, visitors can sip from a selection of hand-selected wines representative of a full spectrum of varietals from around the world. Wines are chosen based on quality, price and drinkability. Enjoy wine by-the-glass and then take home a bottle of your liking. They offer an advantageous wine club that provides special access and discounts. Wine workshops, seminars and classes open the door to tasting a broad-range of wines from their cellar. Famous for their award-winning line of wines which are infused with New Mexico chiles, they also serve other selections they make including both sweet and dry red and white wine, sparkling, port and a pinot grigio. This wine tasting room turned wine bar, albeit only wines of their own making, is a fun place to spend an afternoon. Pair a selection of the handmade cheese, made with all New Mexico products, with your favorite wine and take it outside on the patio for a memorable experience. Every afternoon between 3 and 7 p.m., wine tasting at their wine bar is what’s happening at this historic and refurbished hotel. They feature their family vineyard Balzano, Spirit of Seven Rivers label from the Pecos Valley region, as well as wine from Luna Rossa near Deming. Try a flight, a splash of three of your favorites, or get a glass of something new.